After a long dry spell, without any Active days for the whole month of September, we have a dozen Active days in October. Look up which dates are best for starting new experiments (or events) and which days are good for specific lab processes. Sepetmber 30th is a day to capture your ideas. Sun conjoints Mercury (retrograde). 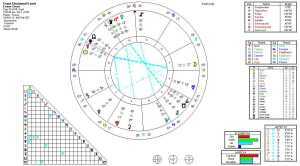 But, Sun/Mercury quincunx Neptune leads to confusion in areas of communication and transportation. You may not be able to act on them, but do capture those creative ideas. Review them after October 9th and see which ones are worth your efforts. 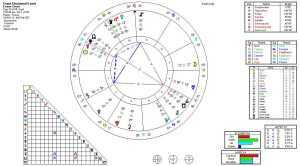 This problem with the quincunx affects October 1st as well. Tuesday and Wednesday are days very tightly tied together aspect-wise as Mercury and the Sun both make an ‘adjustment’ aspect to Neptune. Mercury does so as he is applying to his Conjunction with the Sun and the Sun does so as he is separating from their Inferior Conjunction. With Neptune so intimately involved in their Conjunction, it bodes well for getting a deeper meaning of the ‘seeds’ of clarifying (Sun) communication (Mercury) we will have on Tuesday night and all of Wednesday. I like this doing video thing. Sept. 29 I am heading back to Toronto from Sedona. The Aries Moon trines Venus in Leo at night. Moon enters Taurus for stubborn, sensual, slow to react, creative, lazy moods. 4 count ’em QUINCUNX’S today. 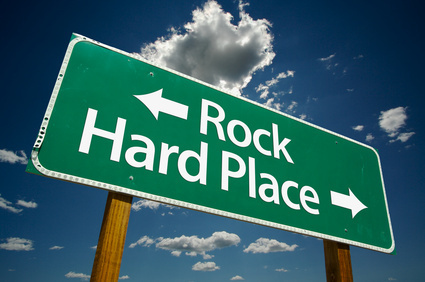 Caught between a rock and a hard place. Caught between Four rocks and hard places, OUCH! This is reflected in the world political situation between the U.S. and Russia. The Tarot reading shows the way to deal with it.Mercury Retro in Libra is making all the adversaries play new games of reblancing the power. Moon trines Mars in Virgo its gonna get down right dirty, earthy and nit picky. Get back to that dream drawing table. I use the tarot cards to show you how figure out how to handle all this. The little girl spends most of her free time outdoors and is very agile and athletic ( other Mars qualities.) She is often running, climbing and swinging at the school playground, riding her bike or scooter. She is very independent and tough in her own way.